Bilingual messages explain rules and regulations regarding seabirds. Bold colors and graphic themes make the information both memorable and accessible. 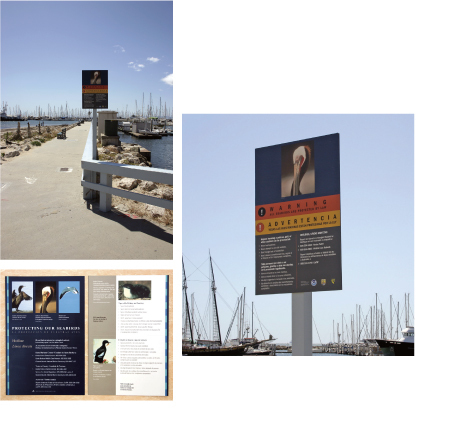 Interpretive signs are installed at key harbor locations along the California coast. Pocket-sized brochures are widely distributed at government outreach events.